Sweet Bamba, the strawberry-flavored Israeli snack, makes for an interesting wine pairing challenge. 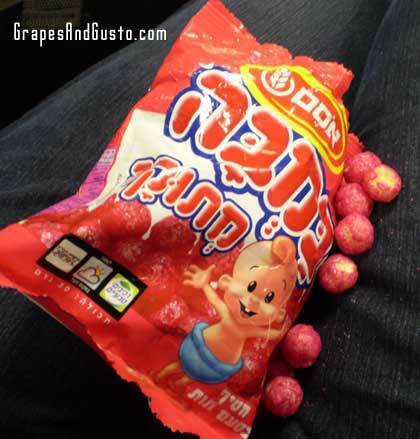 One of my sweet childhood memories, literally, involves a snack made in Israel: crunchy, festive little magenta spheres, strawberry flavored and known as “sweet Bamba” (as opposed to their original, burnt-orange colored, peanut-flavored counterpart, just known as “Bamba”). Given that a dessert should never be sweeter than a wine that it’s paired with (lest it make the wine taste bland or bitter), I’m curious as to pairing a ripe, honeyed Sauternes or Barsac with good ol’ strawberry Bamba. If anyone beats me to this, let me know the results…or at least, your predictions.